Today’s POP RESCUE from a fate unknown, is the 1988 album Turn Back The Clock by three-piece group Johnny Hates Jazz. This 13 track album opens with huge hit Shattered Dreams, with it’s catchy synth line and 80’s pop rock beats. We’re soon on to the first verse where Clark Datchler seemingly puts an effortless performance in, and some wonderful bass guitar meets us. Before you know it, you’re into the catchy-as-Hell chorus. This track really is a brilliant piece of 80’s pop, but rarely have I found it on an 80’s compilation. Flawless. The track was their first charting UK hit, giving them a #5 hit. This is followed by fifth single (the fourth to chart) Heart Of Gold. This one is quite a nice little bouncy track, aided by plenty of horns, and some great backing vocals that help to lift Clark’s pop vocals – which really do get to show off his range and power. This became a moderate hit for them, reaching #19 in the UK. Title track, and fourth single Turn Back The Clock follows, and this, with it’s slightly Chinese sounding strings (courtesy of Anne Dudley) that weaves throughout, gave them another hit – reaching #12 in 1987. Again, here Clark’s vocals feel soft, light, and effortless, and the backing vocals, which turn out to have been provided by none other than Kim Wilde, feel perfectly contrasting. This is a pretty gentle song, and at times could be mistaken for an early George Michael solo track. A great pop track. Sixth and final single Don’t Say It’s Love is up next. This song feels a bit weaker than the previous three, almost as if it was made from what was left over from Shattered Dreams (the chorus vocals get near it, as does the re-emergence of a synth sound). There’s plenty of bass chugging throughout, and after about 2m 10s, there’s plenty of brass joining in. This song stalled at #48 in the UK. Next up is What Other Reason, which has a piano and breathy vocal intro. This is a slow number, that really helps to show off Clark’s ballad-styled vocals. You’d be excused here for mistaking him for Morten Harket (of a-Ha) here. Whilst there’s a warm rush of synthscapes, and some great bass again, and even a tinkling piano and acoustic guitar join in as the song builds – but this song is about vocals, and it’s a great little track. I Don’t Want To Be A Hero follows this, and this has a great funky bassline, and I swear it is possible to sing Shalamar‘s 1982 hit I Can Make You Feel Good over the top without a glitch (or Kavana‘s version). Once over that similarity, the song is actually a really catchy track – again laden with bass and brass and perfect vocals. This was their third single, and became their second charting hit, reaching #11. The tempo drops a little for seventh track Listen. The chorus is really catchy, mostly due to the repeated ‘Just to listen’ line. Again, the bassist, Mike Nocito deserves a medal. Tinkling piano and bass open Different Seasons, and we’re back into ballad territory. Clark returns with his soft, rich vocals, and he’s given plenty of space and time to show these off, particularly in the chorus where it gets almost a bit dreamy and drifty. Ninth track Don’t Let It End This Way sits aside from the rest of the songs here, and feels quite different. A breathy pan-flute synth kind of instrument whistles in from time to time, as synths, guitar, and bass. The verses carry quite a similar melody to the chorus of Sting‘s eventual 90’s hit An Englishman In New York. Despite this, it’s quite a nice mellow track, although feels better suited to have been the final song on the album. Debut single Foolish Heart (released as Me And My Foolish Heart), but which failed to chart, is up next. Again, they sound like something that belongs to a-Ha. The song is quite simple, but has a really nice little piano riff throughout. Clark’s vocals are soft and Morten Harket-ish again. By about 2mins in, the pianist decides to get noticed by rollicking his instrument just as the song builds up. It’s a gentle incline, but the end result is a really nice song. Definitely not catchy single material though. Mixing Engineer Julian Mendelsohn gets his hands on two tracks now, and gives them a remix. First up is Heart Of Gold (J. Mendelsohn Mix). He gives the track a harder plodding beat, and throws the brass in liberally. The end result is a 6m 42s mix, giving plenty of time for the music to shine, with occasionally scatterings of vocals. His next mix is Turn Back The Clock (J. Mendelsohn Mix), which opens with plenty of congas and soon shows off a lot of echoey vocals from Clark and Kim Wilde. Soon, the little Chinese-styled riff and that thick syrupy bassline joins in. This stripped version shows off those vocals, although the song does build back up to full strength from time to time in it’s 7min 4s duration. There’s even time for some vocal samples, however it does linger on the bass drum and congas for perhaps a bit too long. The album closes with I Don’t Want To Be A Hero (Extended Mix), weighing in at 6min 36s, and that time doesn’t feel like it drags at all. This extended mix has plenty going on in it to keep you interested, foot tapping, and singing along to this catchy track. Over all, the album didn’t really need those three mixes tagged on the end – it stands perfectly on it’s own accord. I was pleasantly surprised by how good this was, and when I started it playing, I only actually knew Shattered Dreams… but soon recognised a couple of others as the album progressed. The tracks are in the main bright, up-beat pop, and even when we’re in ballad territory, the production and vocals are so rich that it’s just as good a listen. Don’t Say It’s Love is probably the weakest song here, so it’s sad that it was the last single from the album. Other than that – a great listen! 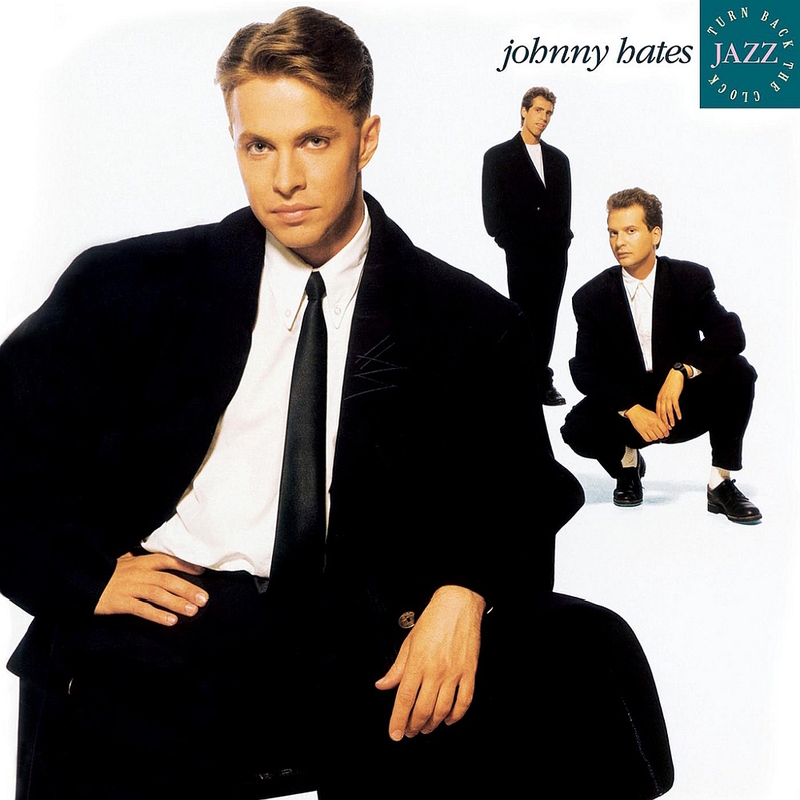 Where are Johnny Hates Jazz now? After the success of this album, and the slow decline of their chart positions, Clark left the group at the end of 1988. He charted in 1990 with solo track Crown Of Thorns, but which briefly slipped in and out the UK singles chart, peaking at #100. The remainder of the group saw their final UK charting single Turn The Tide stalling at #84 in 1989. Despite these two set-backs, they released a second album Tall Stories in 1991 but it and it’s singles failed to repeat the success of this, and didn’t chart. The group disbanded. During the hiatus of the following years, Clark continued to record and release singles and two albums, although they did not repeat the commercial success of his JHJ years. Bassist Mike Nocito had greater success as producer in the 1990s for Katrina And The Waves – giving them a hit and a rare UK Eurovision win with Love Shine A Light. He also worked with Hepburn and Gina G.
In 2009, Clark and Mike reunited, and they began recording and performing as Johnny Hates Jazz. The group released their most recent album and it’s title single Magnetised in 2009, but despite a favourable response from BBC Radio 2, both failed to chart in the UK. POP RESCUE COST: £1.45 from an Sue Ryder Care shop. Posted in 1980s, Johnny Hates Jazz, Kim WildeTagged 1988, album, An Englishman In New York, Clark Datchler, Foolish Heart, Heart Of Gold, I Can Make You Feel Good, I Don't Want To Be A Hero, Julian Mendelsohn, Kavana, Me And My Foolish Heart, Mike Nocito, Miriam Stockley, review, Shalamar, Shattered Dreams, Sting, Turn Back The ClockBookmark the permalink.